Daily Mouse Clicks: 10 Pack Stylus Set Only $3.00 + FREE Shipping! 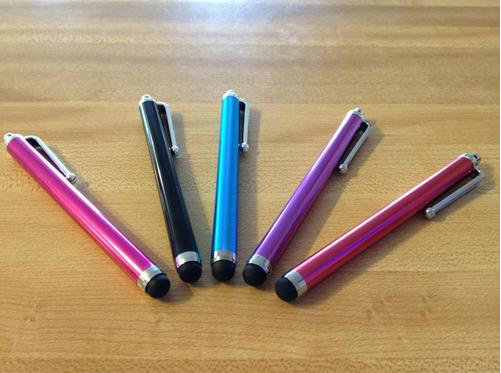 10 Pack Stylus Set Only $3.00 + FREE Shipping! Wouldn't you know it? After I just bought some, a great deal pops up on Amazon. 10 stylus pens for $3 and free shipping. What a great stocking stuffer. 10 Pack Stylus Set Only $3.00 (Orig $9.99) + FREE Shipping! A stylus like this will work with an iPod, iPhone, Nook, PSP, and MORE! Click on the link below to take advantage of this great deal.